This year Jordan Peele made his directorial debut with the social satire thriller Get Out. The film had hints of The Twilight Zone in it as it wasn’t strictly a horror film but one that would make your skin crawl and question what you just saw. Well, it looks like Peele will be diving into that world once more as he literally will be developing a new take on The Twilight Zone, which would appear on CBS’s streaming platform CBS All Access. More on the story below. THR says Peele would be working with his Monkeypaw banner, with Marco Ramirez (Netflix Marvel dramas The Defenders and Daredevil, Sons of Anarchy), who would pen the script and act as showrunner. CBS declined to comment to the Hollywood trade. But the news comes on the heels of the success of Star Trek: Discovery, which has been recently renewed for a second season. This wouldn’t be the first time that a Twilight Zone revival has been attempted. The network tried to do it back in 2012, and it had been done various times before that. But its first iteration started back in 1959, where it ran for five seasons until its end in 1964. The original series was a sci-fi anthology that explored different stories and themes. But the common thread that tied it all together was the idea that it was a play on social commentary with sci-fi elements. 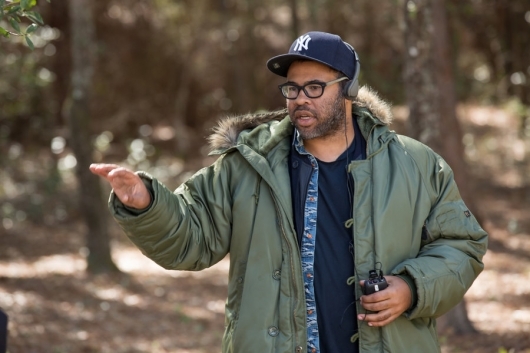 So it makes sense that Peele may have been drawn to the project since Get Out was very similar to that. It’s not clear if this iteration will be a straight to series or if it is just in development. But they sure picked the right person for the job to get the ball rolling. Considering how well Black Mirror has been received, even earning itself a few Emmys, CBS may be interested in replicating that success and using one of their older properties to do it. I can’t imagine CBS wanting to stray away from that anthology formula since it worked so well for the original series and is proving to work well again for other shows that don’t follow the generic episodic formula. But the developing Twilight Zone isn’t the only streaming show that CBS has. The network also has shows like The Good Fight (a spinoff of The Good Wife), Strange Angel, $1, and comedy No Activity. Of course, we will keep you up to date on the development of this show as it progresses.